Volume 10, Issue 9; March 3, 2010: What Is Workplace Bullying? 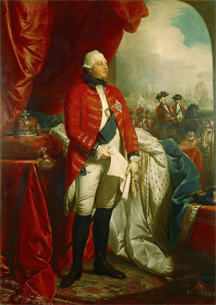 George III (George William Frederick, 4 June 1738 - 29 January 1820) was King of Great Britain and King of Ireland during the American Revolu­tion­ary War. The U.S. Declaration of Indepen­dence includes a list of Facts submitted as evidence of the need to declare independence. Among them is this: "He has called together legislative bodies at places unusual, uncomfortable, and distant from the depository of their Public Records, for the sole purpose of fatiguing them into compliance with his measures." You've probably heard about bullying lately — both in school and at work. Perhaps your company or organization has a policy about bullying, or maybe one is being created. Maybe you fear someone, or someone makes you feel uncomfortable. Maybe you think some people are bullies. And maybe they are. This definition encompasses a wider range of behavior than most definitions. Let's explore it. Workplace bullying need not occur in the workplace, though it can. It need not involve abuse of power, though it can. It doesn't have to be part of a repeated pattern, though it can be. It doesn't even have to actually cause physical or psychological harm to others, though it can. All that's required is that it be aggressive, associated with work, and that it be primarily intended to cause harm, physically or psychologically. For example, suppose Rita falsely accuses you of making mistakes in the accounting system. That might be bullying, if her primary goal is to harm you. For instance, Rita might consider you a rival. To sabotage your career, she accuses you of incompetence. Her primary goal is to harm you. That's bullying. But if Rita lodges her complaint out of concern for accuracy generally, and if she is simply mistaken about your role in the alleged inaccuracies, the behavior might be oafish, destructive, rude, and disrespectful, but it isn't bullying. Causing you harm would not have been her primary objective. abuse of power, though it can.People who question him about his demanding style — or worse, people who don't meet the goals he sets — are either terminated whenever there are layoffs, or assigned to remote locations involving 100% travel. That's why his people regularly work killing hours. Jake believes productivity is high because he runs a tight ship, but he seems to get some kind of perverse pleasure from the distress his policies cause. Jake is a bully. He might be achieving high productivity, but since there are many more effective ways to accomplish that, his choice to employ such draconian measures suggests that his primary objective is the psychological pain his approach produces. Would you like to see your comments posted here? rbrenPjqMnVCodKydMrsoner@ChacvkvCqJkfximyvWgHoCanyon.comSend me your comments by email, or by Web form. I offer email and telephone coaching at both corporate and individual rates. Contact Rick for details at rbrenTpjGNYeBeITxCqrkner@ChackEunTkpokIPvRHUDoCanyon.com or (650) 787-6475, or toll-free in the continental US at (866) 378-5470.